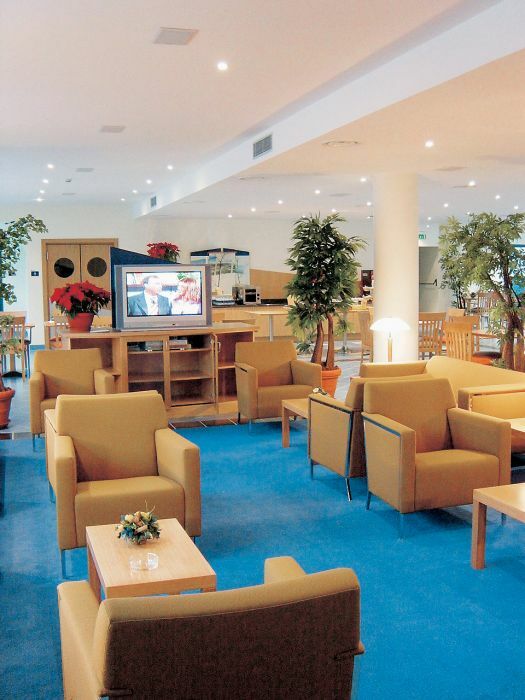 The Express Hotel Aosta is a modern building set in the commercial area Les Halles of Aosta in in the district of Autoporto, a multi-functional area with 50 different stores and over 2000 parking spaces a few minutes from the historic center of Aosta. 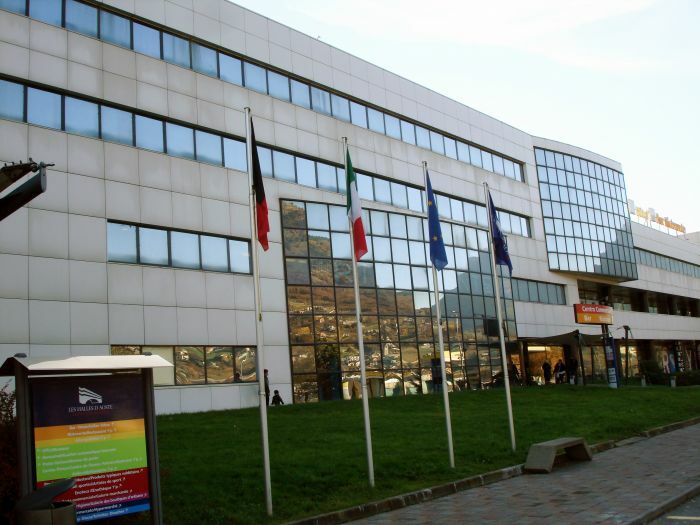 Here you can find clothing stores, sporting goods and products typical of the Aosta Valley, furthermore beauty center, gym, hair salon, optical, solarium, wine shops, ice cream shop, ATM, post office, supermarket "Carrefour", travel agencies, bars, restaurants and much more. Nearby there is a sports center, with swimming pool, bowling alley, billiard room and a cinema multiplex. The Express Hotel is the perfect support to enjoy a visit to Courmayeur, at the slopes of Mont Blanc, in winter to try the famous ski tracks and in summer to admire the beauty of Mont Blanc. Pila in winter than in summer is a real balcony of Aosta and the highest peaks in Europe, directly connected by a cable car from Aosta or to get to Cervinia, where the high altitude offers the opportunity to ski all year and get Zermatt, the famous Swiss location. It cannot miss to visit the natural parks of Gran Paradiso and Mont Avic, not more than 30 minutes by car. At the Express Hotel, functionality of the location and convenience of the structure will be among the most appreciated services. 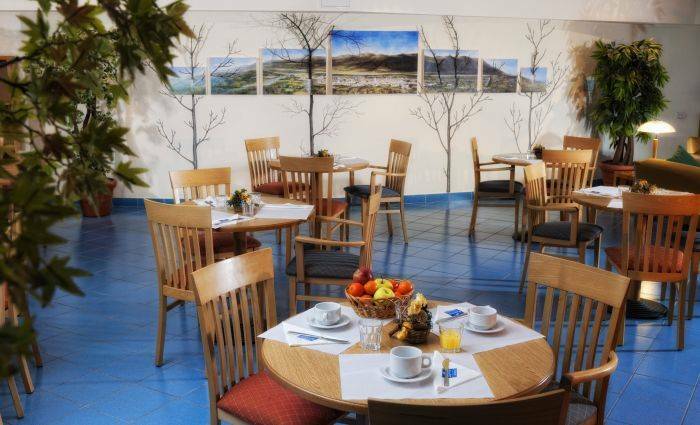 In addition to these, in 74 spacious and comfortable rooms - including 4 for disabled persons, 4 communicating, 6 Superior, 2 Junior suites - you will find much more. All rooms have in fact a hairdryer, air conditioning/heating, TV with channels in English, French, German, Spanish, wired radio and Internet Wi-Fi. transfers to and from airport on request. 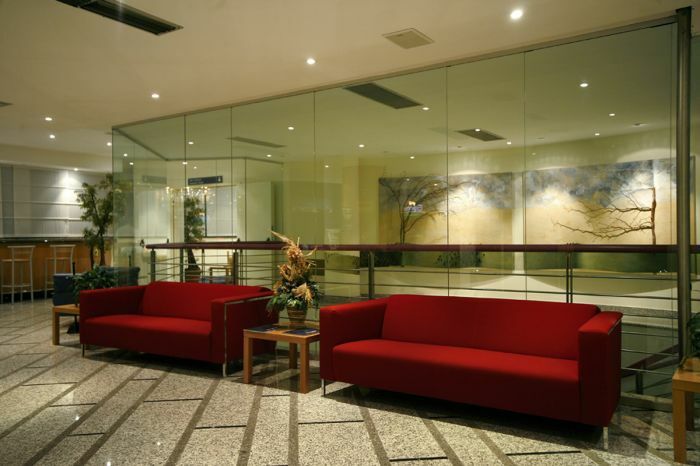 The Express Hotel reception is open round-the-clock of the staff speaks English and French. Hotel guests can benefit from the agreement with the restaurant located on site or nearby restaurants and food. There is a shopping centre with 50 shops of all kinds including beauty salon, gym, solarium, barber/hairdresser, laundry, bank, post office, bars, ice cream shop, restaurant. Moreover, thanks to our location, you can use a handy link bus/shuttle to the historic center of Aosta and the cable car to Pila. 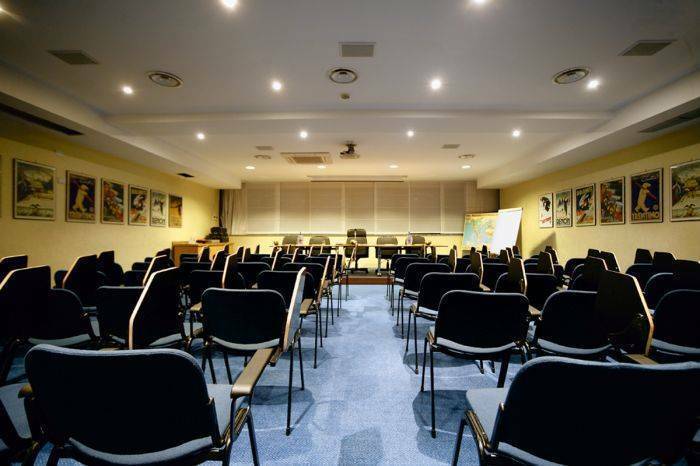 The Express Hotel is located in a strategic position just a few minutes’ drive from the historic center of Aosta, just off the highway exit "Aosta-East" and the most famous ski slopes of the Aosta Valley. It is the ideal base for skiers, who can find exciting trails in the nearby ski slopes of Pila - reached by a convenient cable car departing from Aosta, a few minutes away by car or by shuttle bus departing from the hotel – or Courmayeur, one of the most popular locations in the Alps. Other places like Cogne, La Thuile, Cervinia, Champoluc and Gressoney are within 15 to 40 minutes by car. For nature lovers we recommend the Gran Paradiso National Park and the picturesque Mont Avic Park, where you can take trails ideal for hiking and snowshoeing in winter and for summer walks and trekking. Definitely do not miss the cable car crossing the Mont Blanc. Exit toll Aosta-East follow the signs to district of Autoporto. For those arriving by car from Mont Blanc, the entrance is located at the exit Aosta-East in the service area Autoporto. Follow the Highway signs to Turin, Milan, Genoa, Mont Blanc. STANDARD Rooms If it is true that the rest is the sauce that makes sweet work, in the standard rooms at the Express Hotel you can relax and work the best, since they are characterized by comfort and elegance. You will arrive here already peaceful - as our accessibility allows greater ease in travel by car and plane - and then continue your stay in a climate of great distension. All Standard Rooms at the Express Hotel are spacious, comfortable and equipped with: hair dryer; self-regulating air conditioning/heating; TV channels in English, German, French, Spanish; wired radio; internet connection, via Wi-Fi. Always been a city at the crossroads of Europe, Aosta saves the traces of an ancient past. The most sensational archaeological discovery of the Valley is represented by megalittica area of worship at St. Martin de Corleans, that because of size and number of stele lays Aosta at the top of this cult phenomenon. It's definitely going back to Roman times the most important monuments of the city. The Praetoria door is perfectly preserved, and the Roman theater like that of Pompei is one of the most precious examples extant, not to mention the Arch of Augustus, and countless other architectural remains scattered throughout the city. But is not everything, because, in more recent times Aosta has continued to collect works of art known at European level, such as the Collegiata di Sant’Orso and the Cathedral, the most outstanding examples of medieval religious architecture and art in the Valley, the Cappella della Santa Croce and the Croce di Calvino of the modern era ; Square Emile Chanoux entitled to one of the most celebrated players in the Resistance movement of the Aosta Valley. Roman Town of Aosta 1, 5 Km.